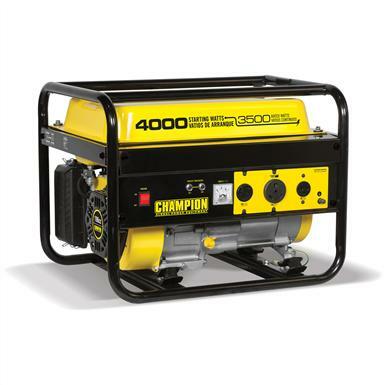 Champion Power Equipment Portable 3,500 / 4,000 - watt Gas - powered Generator. Ideal for RVs, camping and hunting trips, traveling, home improvement or back-up power. Portable, quiet power, designed with long life and easy maintenance in mind. This baby's ideal for powering a refrigerator, furnace, lights, TV or other small appliances when you're away from home, or for saving your behind when a storm or other event knocks out your electricity. Powered by an 196cc Champion single cylinder, 4-stroke OHV engine producing 3,500 running and 4,000 starting watts. Runs up to 12 hours at a 50% load. Engine has low oil shut-off sensor that guards against engine damage. 23 1/5 x 17 1/2 x 17 4/5", weighs 97 lbs. A juice bar. 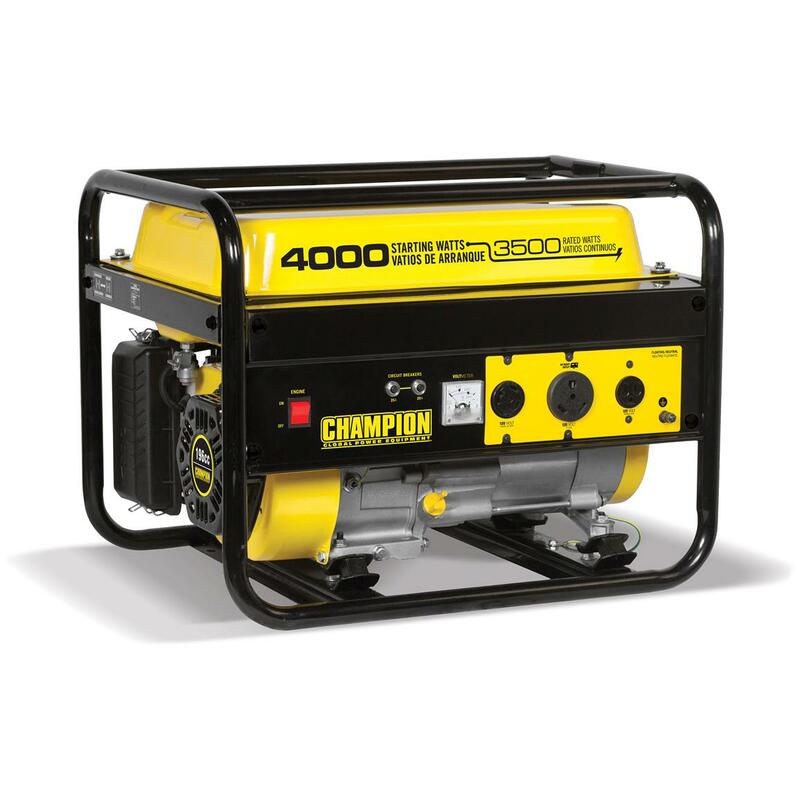 Order this Generator ONLINE today!